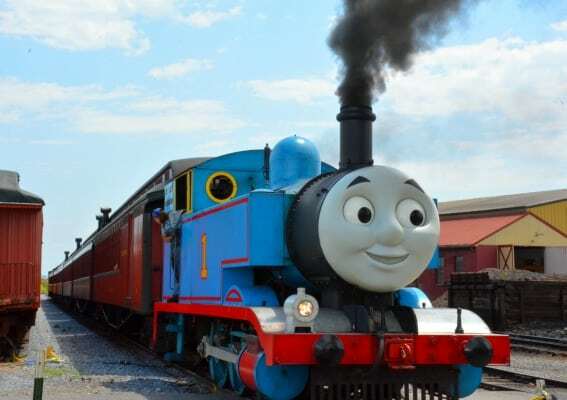 If you live with a little train lover, you certainly know all about Thomas, Percy and all of their “very useful crew.” You also may already know that these famous trains tour across the United States each year from train museum to train museum as part of the Day out with Thomas Tour (tour dates and information below). Though my own tots are now grown to ages six and seven, I remember those days of diaper bags, car seats, and afternoon naps, and I remember the need to be prepared whenever I dared venture out of my house with two toddlers under age three. So, here are five tips that cover just about everything you need to know about attending a Day out with Thomas event with your train loving toddlers. Totally by a stroke of luck, we arrived at the Day out with Thomas in Strasburg, Pennsylvania more than an hour before the time on our train ticket. I thought we were way too early and that my kids would be bored waiting around. This was not the case at all! After experiencing a Day out with Thomas, I recommend arriving at the venue at least an hour before your scheduled train ride or as soon as the venue is open for the day if you have one of the first ticketed times. 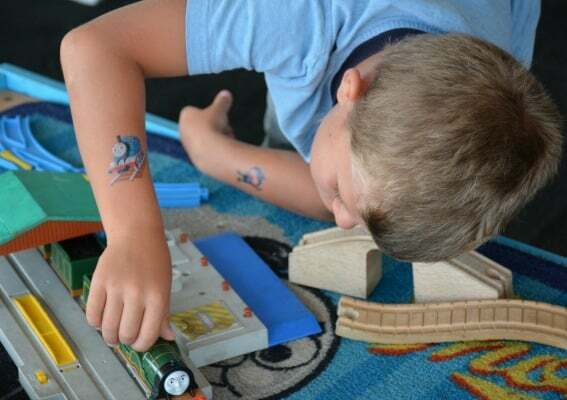 Arriving early will allow your kids to play at the train tables, get a temporary Thomas the Train tattoo, take pictures with the engines, see Thomas entering and exiting the station a few times and use the bathroom before you board the train. 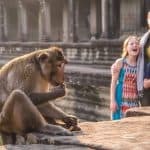 The exact activities available likely vary from venue to venue, but surely at every venue there’s enough around to keep kids busy for at least an hour. There are snacks and Thomas toys available for purchase, of course, but it’s not impossible to steer clear of them. 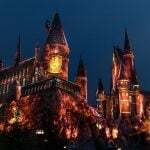 By enjoying all the extras first before the crowds arrive, you’ll be just about ready to head home for the day after your train ride. Yes, mom of toddlers, you can manage this well-organized event on your own. In our two hour visit, I didn’t see a single toddler melting down — miraculous! However, you could also bring along older siblings to help out. Or, even better, bring Grandma along. My six and seven-year-old kids did enjoy themselves at a Day out with Thomas – even though they might not admit it. I was a bit concerned that my son, who had just finished kindergarten the day before our ride on Thomas, might feel that he was too old for a ride behind the charming little tank engine despite being quite the train-lover. While he wouldn’t admit it to his pals at home, he had a great time spending the Day out with Thomas; I even saw my seven year old daughter crack a smile a few times. 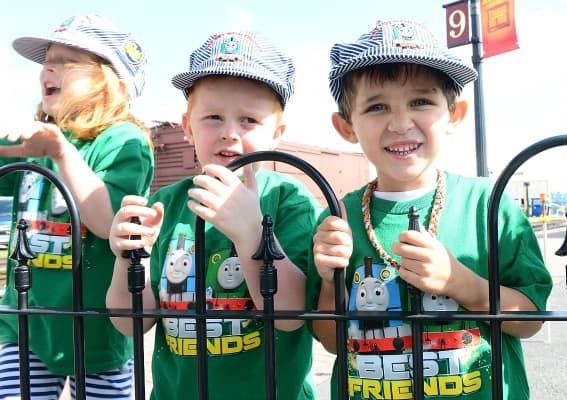 When we rode Thomas in Strasburg Pennsylvania, there were all sorts of older siblings enjoying the day with the train loving tots in the family. 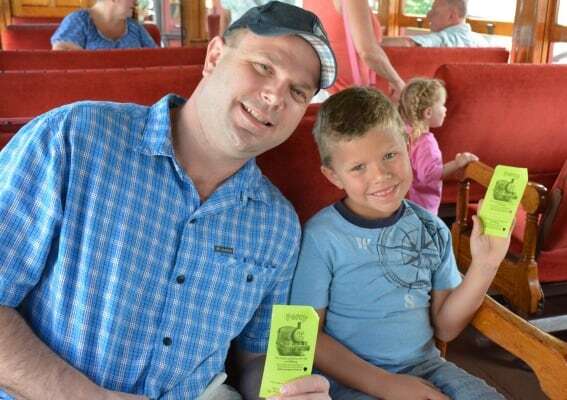 If you have a little train-lover in the family, don’t be afraid to bring the entire family along to enjoy the day. Of course, grandparents will enjoy the joy of a toddler seeing a real-live Thomas for the first time more than any older sibling. This is the perfect multigenerational event. Yes, there will be strollers and babies at a Day out with Thomas — though most tots over age three were excitedly running around. At the event in Strasburg, there was quite a bit of fencing to keep these excited little ones off the tracks and out of the way of train traffic; however, a sneaky, determined tot could easily have found themselves in a dangerous situation within a couple of minutes. When it’s time to line up for the train ride, remember, it is impossible to see the engine while you’re on the train. So, there’s no reason to spend more than the time recommended by your venue standing in line. On a weekday morning in Strasburg, we lined up about 10 minutes before the Thomas was scheduled to leave the station, and we had no trouble getting seats for our family of four to sit together. The best part about a Day out with Thomas is watching Thomas leave the station for the twenty minute ride and return to pick up more passengers. 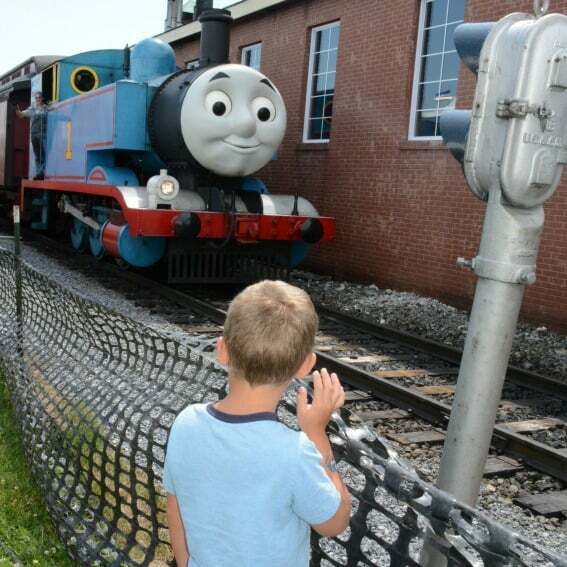 Since Thomas passes by four times an hour, your tot should get the opportunity to wave to the famous engine at least a couple of times during your Day out with Thomas— even if you miss one or two trips due to an emergency potty break. Remind your little one to wave, grandma’s definitely going to want a picture! My entire train-loving family could spend days exploring the towns of Strasburg and Lancaster in Pennsylvania Dutch Country. 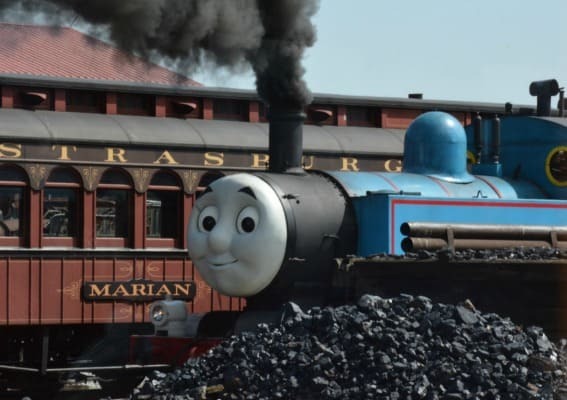 If you’re coming to the area for Day out with Thomas Tour at the Strasburg Rail Road location from out of town, I recommend making a family vacation out of your adventure. The Railroad Museum of Pennsylvania, located directly across the street from Strasburg Rail Road’s Day out with Thomas, has a large collection of steam engines for both the big and little railroad fans in your family. Looking for something a bit smaller scale? The Choo Choo Barn less than a half mile drive down the road has one of the most detailed model train layouts I’ve ever seen with a fun scavenger hunt for the older kids in the family. At some point even the train-obsessed will have their fill of choo choos and need to rest. My kids and I loved staying at the DoubleTree Hotel in Lancaster on our very first visit to the region; their small water park was the perfect way for my young children to burn off their excess energy and get a good night’s sleep. 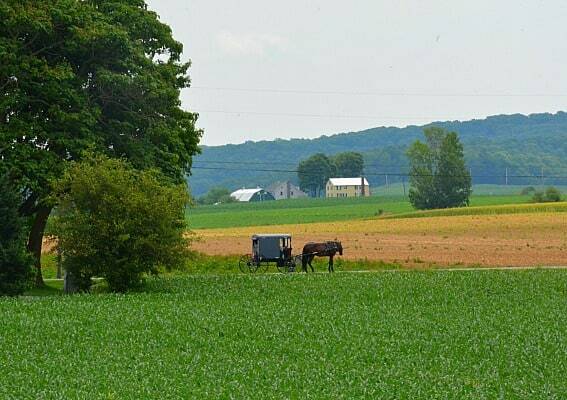 Don’t forget to take a drive through the beautiful Amish countryside of Lancaster or spend a day enjoying the kiddie thrills of Dutch Wonderland while you’re in town. Is Thomas Coming to You in 2016? For a list of all locations and ticket information for Day Out with Thomas: The Ready, Set, Go Tour 2016 visit www.ticketweb.com/dowt. 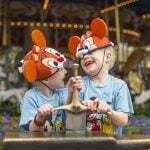 Ticket prices vary by location and are priced for ages 2 and up. 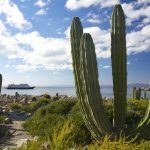 For more detailed location-based reviews of previous Day out with Thomas tours, check out the Trekaroo reviews linked below. Disclosure: My family received complimentary tickets to ride both Thomas and Percy at the Strasburg Rail Road to facilitate this review. All opinions are my own. 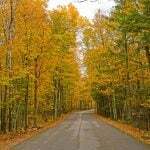 Editor’s Note: All photos by Melissa Moore unless otherwise noted.